Ever been into your local delicatessen and wondered how those fabulous terrines, pies and pates are made? Well, thanks to luxury ski travel experts, Supertravel, I’m hosting a signed cookbook giveaway which will divulge all the tricks of the trade! 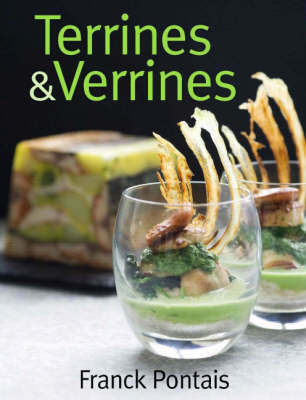 Written by French chef, Franck Pontais, ‘Terrines and Verrines’ explains how Franck has put his own twist on the classic terrine – a stalwart of Traiteur or ‘gourmet take-away cooking’. 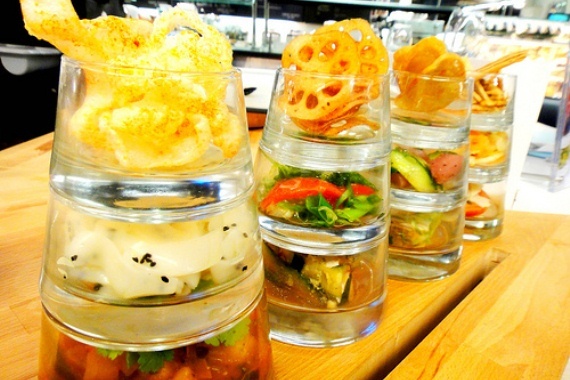 The book also introduces the delights of verrines: the little-known art form of presenting layered food in glasses. Supertravel is giving this unique book away to promote Franck’s close collaboration with the company, where he has helped choose and mentor the chefs in Supertravel’s various luxury Courchevel chalets. I have never been skiing. So I’d probably like to try skiing at Braehead Xscape first, then Italy. Italy is a lovely country with very friendly people, nice food etc. Though when I have holidayed there it was a holiday in the sun :- at the beach etc. So a skiing holiday would be a new adventure. I’d like to skiing in Austria! I’ve been to Banff but unfortunately got a trapped nerve in my foot on the first day. I’d really like to go back and actually ski. I’d go skiing in Tyrol, Austria, I hear it’s a great place for beginners and I’m a beginner. Since I do like to be warm – may I choose water skiing somewhere in the med/caribbean? Some where I can see the Northern Lights. anywhere as long as the scenery is breathtaking! I’ve only been skiing once which was in the Pyrenees. But Aspen sounds a bit fancy as the stars ski there! Well I’d like to try it at the local indoor dry slope first… never done it before and I’m a little nervous! I’ve never done it so anywhere!